Earle Hyman was already an established and honored Shakespearean actor of the stage and in movies & television before taking a small, but career-defining role on the classic 1980’s sitcom, The Cosby Show. Despite an age difference of only eleven years between him and Bill Cosby, Hyman defined with relish the role for which he will now best be remembered - Grandpa Russell “Slide” Huxtable! 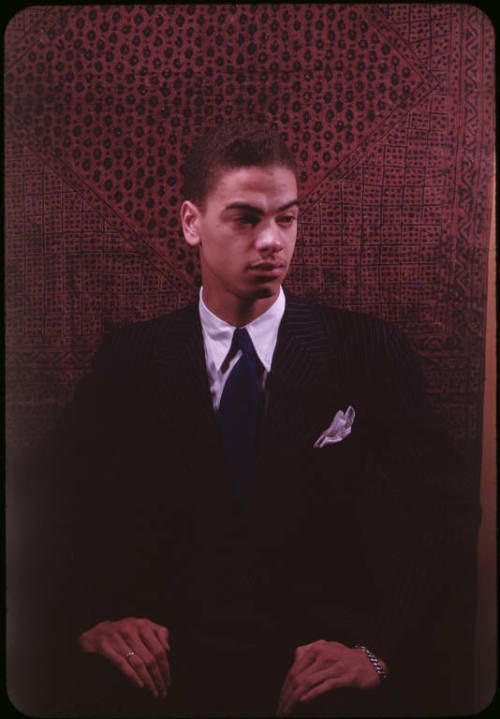 Not many of us would have known that Earle Hyman was also fascinated with the culture of Norway, spoke the language fluently, owned property there and actually spent much of his time in parts of the country. He first appeared there on stage in the 1950’s, and in the 90’s, he starred in a Norwegian television sitcom. Somewhere in between that time, he encountered “the most wonderful man that I’d ever met” - his “partner” of 50 years, Rolf. And if worldwide fame came late, so did grief, or sorg as they say in Norwegian. In a two-part video spot, Earl Hyman gives a heartbreaking account of loss, the struggle to survive, and finding Hospice, the comforting end of life care organization for terminally ill patients. “When it happens to you - you’re going to need somebody!” says Hyman. 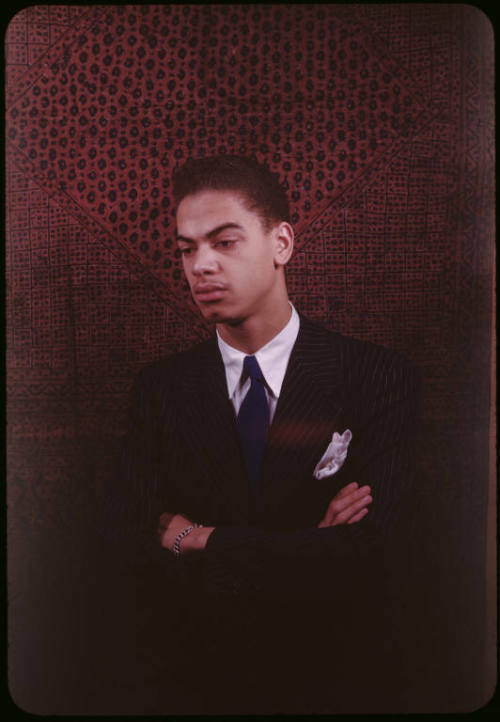 The two accompanying photos show a very young Earle Hyman looking rather pensive, if not quite contemplating grief. They were taken by the writer and Negrophile, Carl Van Vechten in 1947.